In the current economic situation, social media has emerged as a powerful tool for the newly jobless. There have been countless posts about the coming of social media and what it means, mostly in the abstract. But right now, social media provides a practical use job hunting. Your social networking activity is basically your own personal cloud that you can pluck for your own benefit. Most of the jobs that you will get in your life will not be from a classified ad or a job ad. You will have found out about them from your personal network – virtual and physical. 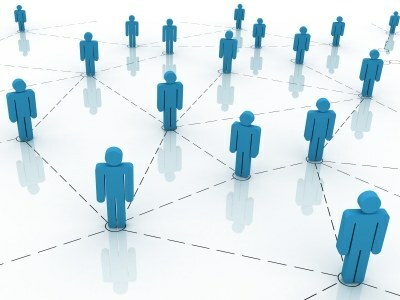 Social media creates a bigger network, allowing you to connect with more people and to find out about more job opportunities. Many Web 2.0 pundits have been decrying the loss of privacy in the Web 2.0 age, as well as sending out warning signs to control how much information you allow out there about yourself. Now, the focus is shifting to how you can mange your personal brand message on social media sites and use them to grow your career. So, how can you use social media to find a job? On the most basic level, social networking communities allow you to connect with your friends and co-workers. This is your closest network and the most valuable in a job search. Keep your friends close and your former friends closer. Social networking allows you to reconnect with former co-workers and friends that you haven’t heard from for awhile. This widens the net from just staying connected with a close network of friends. I call it the ‘beer factor.’ If it’s someone you’d be willing to go out and get a beer with and shoot the breeze about a former job or company, then they are worth reconnecting with. Take the time to fill in the details on all of your social networking accounts. Your goal should be transparency so people can know who you are immediately and see a pattern across all your accounts. Fill in your Facebook profile, Twitter account profile and Linkedin profile. Potential employers and connections want to find out as much about you as they can. Control the message. You’ve got the time on your hands. If you’re using social networking to find a job, it is probably a good idea to take the pictures off your Facebook profile from your bender a few weeks ago. Companies want you to appear to be above reproach. That means your online persona needs to reflect this. So, polish all your social media profiles and remove anything that might offend even the slightest of sensibilities. One of the best ways to keep up on the latest job postings is to find job websites that have RSS feeds of the latest jobs. For example, all Craigslist job boards have an RSS feed. There are many other second tier job sites that have this feature. The big boys like Monster.com and Careerbuilder have failed at this. There are many many niche job websites that feature a wide array of jobs in specific industries. Do a search for them, they are out there. Also, create free Google Alerts to notify you whenever a job matching your criteria comes on the net. Twitter can help you greatly in a job search. First, Twitter allows you to directly connect with your network. I have gotten many job leads from people I follow on Twitter. Second, Twitter allows you to widen the net of your network. If you’re looking to relocate to another city or already live in a big one, follow players in your field and then engage directly with them. You build a reputation and increase the likelihood that you’ll find out about a job first. Third, there are many Tweeps out there that solely list jobs (such as @ukseojobs or @seojobs) so you can be notified as soon a job goes on the market. Linkedin should be the center of any job search. It’s been said that Linkedin is the Facebook for professionals and that’s exactly what it is. Linkedin allows you to have a professional online presence that shows your work experience. You can also connect with co-workers and former co-workers, who can recommend each other. Linkedin is also becoming a great place to list jobs and also find out about jobs before they go on the major job sites. Most people think that Facebook is just for fooling around but it has many good uses on a job hunt. Your friends will be a good source of job leads. Also, you can join many Facebook groups related to your industry that will allow you to network with potential colleagues. Running a blog is a great way to prove your knowledge. Who would you rather hire? A person with a polished resume and years of experience? Or the person with a polished resume, years of experience and a successful blog about his/her industry? It’s a no brainer. If you can paint yourself as an expert in your field, it will only help your career prospects. The main goal of using social media to get a job is to get your personal brand in as many places as possible. The more you engage fellow professionals the more likely you are to find out about of job or get a good recommendation. Don’t be a social network spammer. Don’t just connect with people to extract job leads from them or bug them about needing a job. Connect with them to connect with them. You will get no where complaining about your life situation or acting like you deserve help. People come onto social networks to get away from the negative forces in life, don’t become one. Don’t start trashing your former employer on the social networks. This will alienate your former co-workers and poison the possibility of your bosses giving you a good recommendation. Bad social media PR is very damaging to a company in this day and age. Anything you say on a social network will get indexed by the search engines and it will take a very long time to remove. Your anger could damage your job prospects for years. Start getting involved in local, in person gatherings that are organized on social media sites. Visit the local tweet-up or industry gathering. Establishing a person to person relationship will be infinitely more valuable than connecting online. So, next time you see a Tweet-up in your area, it’s a good idea to go, even if you feel secure in your job. If you get a job lead for something that’s out of your field of expertise, then by all means spread it across your social network accounts. You’ll spread goodwill and also have connections in the future that will only help you. You’ve got time on your hands, don’t you? Become a prolific commenter on blogs in your industry. Become a recognized name. This can fit well into a regular blogging strategy. Getting yourself noticed will only help you in a job hunt and will ingratiate you to bloggers who enjoy engaging with their commenters. Connect with everyone in your industry. You may think it’s a waste of time connecting with a secretary or an entry level person, but those are people you want to be in your court. The first rule of job interviewing is always be nice to the receptionist when you arrive. There is no reason why this should not count in the virtual realm. Using social media to find a job will take time and you will get out of it, what you put into it. It’s going to be hard work and your going to have spend a lot of time doing it. But the potential rewards are huge. Not only can you find a new job, but you can also make new lifelong friends. All three of these were just added to the about.com top 10 job list too. For those looking, good luck! Very helpful information. It is a tough economy and I have been without a job for almost two months. After meeting with a recruiter last week I found how much social networking plays into getting your next job. I found this article helpful also: http://vjournal.com/linkedin-tips. My linked in was one of the embarrassing ones that she talks about before reading this article.